What do I need in order to obtain a loan? No, in most circumstances down payment options are available. Can I qualify for an auto loan despite a bankruptcy or repossession? Are loans available for residents outside of the U.S.
No, simply because our network of dealer lender programs are all in the Continental U.S.
Is there a minimum on job time or time in the area to qualify? No, there are loan programs available for everyone. How will I be establishing or re-establishing my credit? All lenders report to the major credit bureaus. I have no credit and looking for my first automobile, can you help? Yes, there are many programs designed for the first time buyer. If you have income, a valid drivers license, and proof of residence our first time buyer specialists will work hard to help you purchase your first automobile. 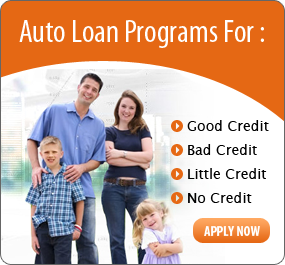 Do you have programs for poor credit?